Are you a passionate photographer or a photography enthusiast? If you are, there is something that I would like to share with you! Every year, Asian Geographic will host the Images of Asia Photography Competition for passionate and enthusiastic photographers. 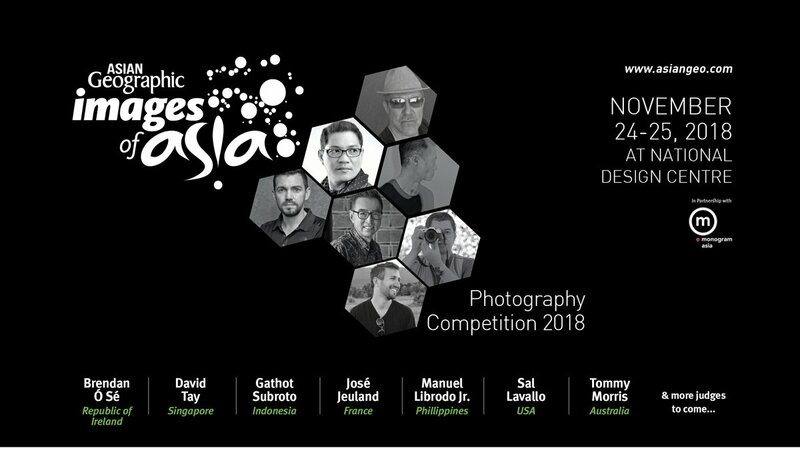 With over 9000 entries from more than 100 countries that have been submitted for the competition, it is a much anticipated event for photographers around the region. 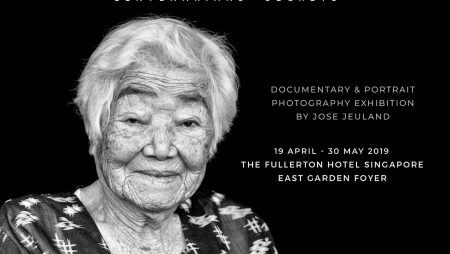 People around the world are gathered to celebrate the diversity of Asia through photographs. There are 5 different categories you can choose to participate in, including a brand new Mobile Photographer category this year. How cool is that! This category is suitable for those who are interested in mobile photography and those who are aspiring photographers. It is open to anyone and everyone, from the professionals to the aspirers. So what will you stand to win, you may ask? 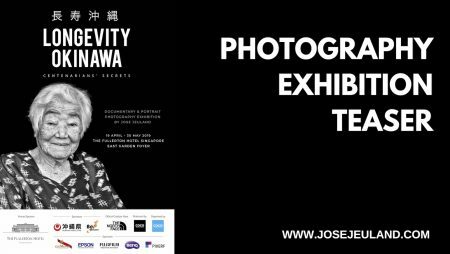 Not only will you have a great exposure through the competition, you will also stand to win attractive prizes such as a trip to Japan, Wakayama Prefecture and cash prizes. These prizes are based on the categories you enter in. 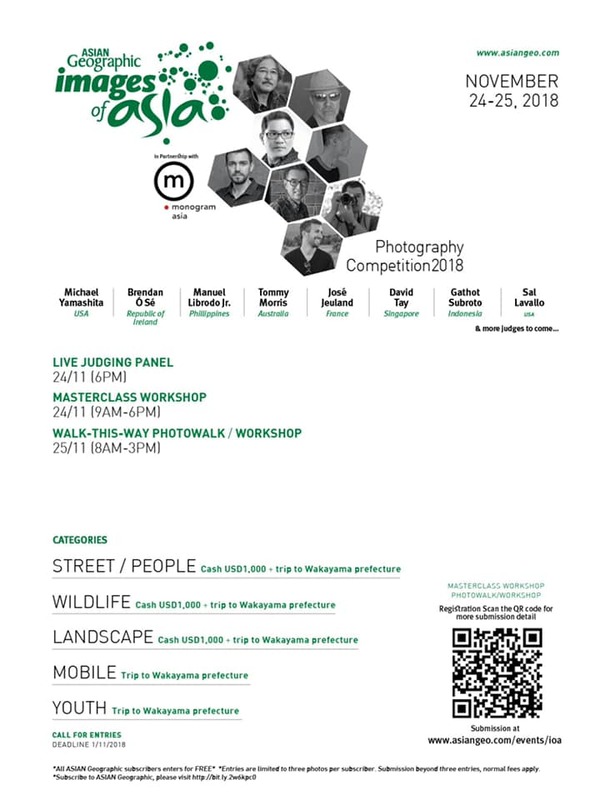 The Images of Asia Photography Competition will be held at the National Design Centre in Singapore this year on the 24th November (a very familiar date). 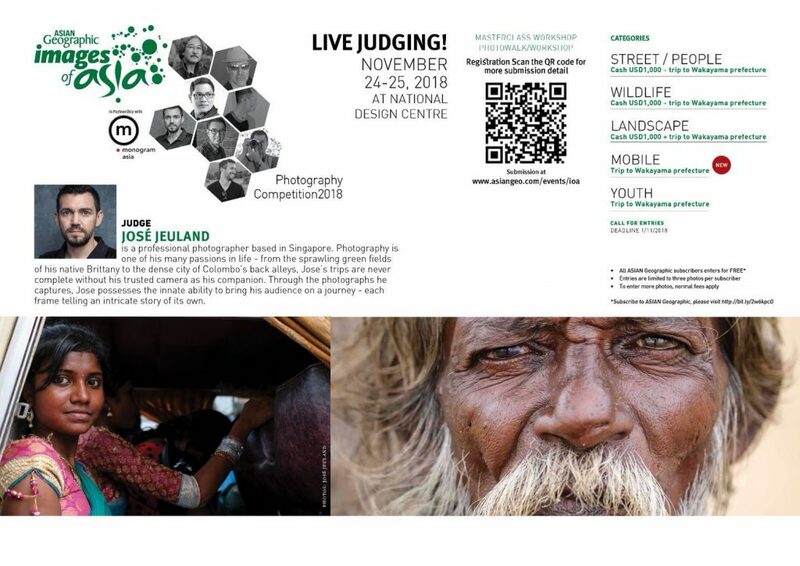 One of the highlights of the competition is that there will be a ‘live’ panel of judges who are key industry leaders and photography professionals. I am proud and honoured to announce that I am selected to be a guest judge again this year. As a guest judge, i’ll be looking out for some things in a photograph. Firstly and most importantly, its the composition of the photo. Good composition shows that you are able to frame the photo well which is very important in a photo. Then comes the aesthetics, the message behind the photo and where you would like me to have my eyes on. We all have different criteria based on our preferences, for me it’s photo composition. Do have fun and play around with your photo, it’s always good to be surprising and unexpected too! In the weeks to come, there will be more judges that will be released in the line up. Anyone and everyone! 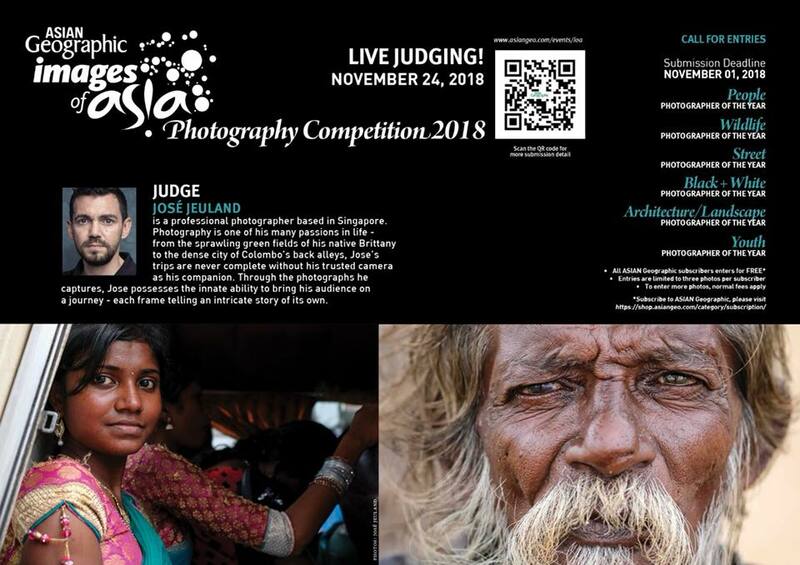 If you think that you got what it takes to deliver great photographs or take great pride in your craft of photography, i strongly encourage you to join the Images of Asia Photography Competition this year. Not only are the prizes attractive, but it will be a great experience and exposure for you as a photographer. You will never know where this experience will take you in your photography journey. It will definitely help in your learning curve as you glean from industry professionals and other photographers all over the region. I had such an amazing time at Images of Asia last year, having the privilege to see so many creative and artistic photographs by talented people. and also meeting you guys and sharing conversations. Last year i didn’t have the luxury of time to stay and mingle as long as i had wished to because i had to fly off to Prague shortly after to host a workshop. However, this year, I am really looking forward to stay longer and meet all of you. The Images of Asia Photography Competition is calling for your photo entries now! 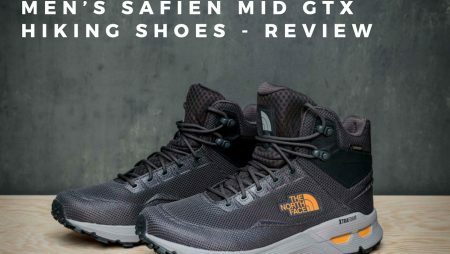 The submission ends on 1 Nov 2018. Do comment below if you are interested to take part in this competition and I shall see you there!